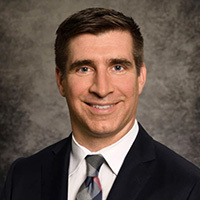 Mark D. Walsh, MD, FACS, is Assistant Professor in the Division of Plastic and Reconstructive Surgery of the Department of Surgery at Emory University School of Medicine. A board certified plastic surgeon, Dr. Walsh specializes in breast reconstruction, breast surgery and body contouring. Dr. Walsh is a Fellow of the American College of Surgeons. He holds professional memberships with American Society of Plastic Surgeons, American Society for Reconstructive Microsurgery, Georgia Society of Plastic Surgery: Residency and Research Committee, and Southeastern Society of Plastic Surgery. Dr. Walsh received his Medical Degree from Boston University. He completed his general surgery residency and internship at the University of Colorado and his plastic surgery residency at Duke University. Dr. Walsh's research interests include keloids and pathologic scarring, mandible reconstruction with virtual surgical planning, breast aesthetics and the quantification of mechanical forces and spine loading in macromastia and enlarged pannus. He also assists in obtaining tissue for the study of lymphatic smooth muscle cells in collaboration with Georgia Institute of Technology. Dr. Walsh is the author of multiple scientific articles and book chapters in the field of plastic surgery. He has also presented at several national and international meetings, including award winning presentations on the topics of rhinoplasty and wound healing.